Chap is a 4-year-old deaf bulldog who came to us in search of a new start. Before coming to us, he was the star of the shelter and won everyone over. He may be congenitally deaf but that doesn’t stop him! He is not shy at all and just loves all dogs. Chap was tested with cats and did great, but is a little too interested in squirrels. He does well with two 20 minute walks a day, and a romp in the forest. 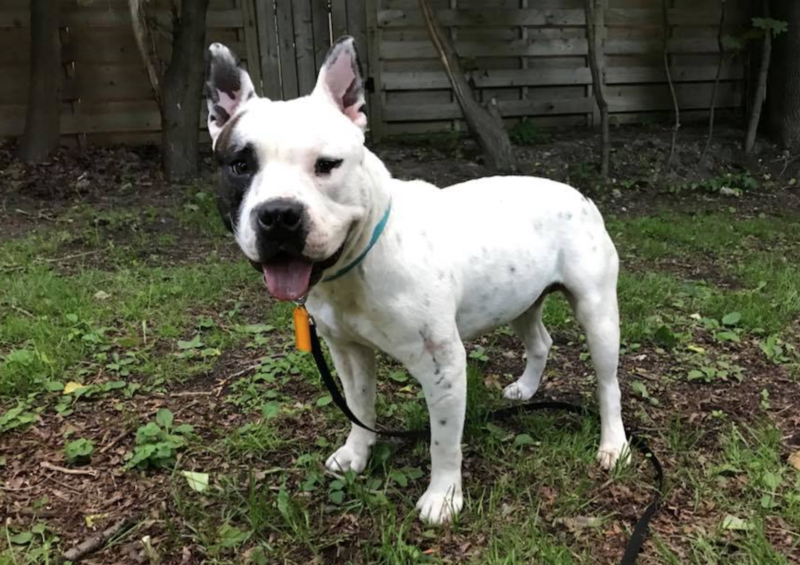 Being deaf means that Chap is learning hand signals and he will never have off leash recall – so an ideal home might be a condo/apartment or a home with a secure yard. Life hasn’t always been kind to Chap – he does not like quick hand movements and will duck away. He is, however, happy to call everyone his best friend. If this silly and fun guy is for you, please apply!